The first list contains free FPS games that are set in modern day or in the past (WW2 for example). 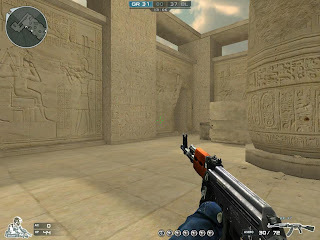 The gameplay in these online FPS games is usually similar to Call of Duty or Counter-Strike. Most of them have small urban maps and modern weapons. There are many free MMOFPS's where better weapons can only be purchased with real world money. All shooters have minimum system requirements listed (if available), with links to official website or download page. 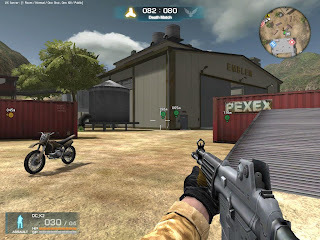 Battery Online, also known as Battle Territory: Battery, is a tactical MMOFPS with a modern setting. The world is divided into two factions lead by America (AF) and Russia (RSU.) Join of these sides and take to the urban battlefields in Battery Online. The game is designed on the Unreal Engine 2.5 which means the graphics and gameplay will be both fluid and familiar to veteran gamers. There is a skill system and trophies to earn which help give the game a sense of progression. The familiar theme means Battery Online is very similar to other tactical shooters like Alliance of Valiant Arms, but the inclusion of helicopters should help it stand out. Check back for more information as this Korean game approaches release. 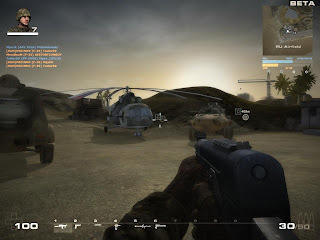 Battlefield Play4Free is a free FPS that is based on Battlefield 2. It also includes many elements from Battlefield Heroes (item shop & character customization) and Battlefield: Bad Company 2. System requirements: 1.7GHz Pentium 4, 512MB RAM, 256 MB DirectX 9.0c video card. Combat Arms is a free fast-action multiplayer first-person shooter. Combat Arms is entirely a multiplayer shooter that offers huge library of maps, many modes and over 100 weapons. System requirements: 1GHz Pentium 3, 256MB RAM, GeForce 2 MX. Alliance of Valiant Arms is a free FPS game with many modes. It is based on a fictional war that has broken out between the European Union and the Neo Russian Federation. System requirements: P4 2.4 GHZ, 1GB RAM, GeForce 6600. Arma 2: Free is a free-to-play version of the famous military simulator, ARMA 2 (Armed Assault 2). Single-player campaign, user mods and HD textures are not available in the free version. System requirements: Pentium D 3.0 GHz, 1GB RAM, Nvidia Geforce 7800. K.O.S. Secret Operations is a free-to-play online FPS game where you can fit your character with different special abilities, weapons and uniforms. K.O.S. also features clan ranking system. System requirements: 800 MHz CPU, 512MB RAM, GeForce4 MX. 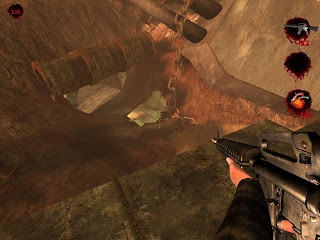 Wolfenstein: Enemy Territory is a free online FPS set in World War II. Enemy Territory includes 5 character classes each with unique abilities, and hundreds of downloadable custom maps. System requirements: Pentium III 600 MHz, 128MB RAM, 32MB OpenGL video card. D-Day Normandy is a free multiplayer WW2 first-person shooter based on the Quake 2 engine that has over 60 weapons and many community made maps. Download size is only ~200MB. Project Blackout is a free-to-play tactical online first-person shooter that offers variety of modes and fast-paced action gameplay. Project Blackout is published by SG Interactive. System requirements: Pentium 4 2.4 GHz, 512MB RAM, GeForce 5700 / Radeon 9600. Operation 7 is a free-to-play FPS game where you can build your own weapons. Operation 7 has very realistic gameplay, it also has maps based on real locations over the world. System requirements: Pentium IV 2.0 GHz , 1GB RAM, GeForce FX 5700 / ATI 9700. 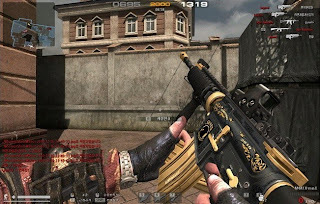 Counter-Strike Online is a free Counter-Strike version that is targeted towards Asia's gaming market. Counter-Strike Online features female characters, new modes and weapons. System requirements: Intel Pentium 4 1.2 GHz, 512MB RAM, GeForce 4 Series 128MB. True Combat: Elite is a modern world mod for free WW2 FPS, Enemy Territory. True Combat: Elite has wide range of real-world weapons and iron sight aiming system with no crosshair. System requirements: 800 MHz processor, 320MB RAM, 128MB video card. America's Army 3 is a free FPS that provides very authentic military experience. 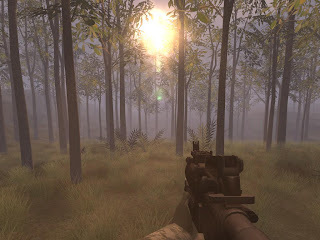 America's Army 3 is a shooter based on Unreal Engine 3 with realistic characters and environments. System requirements: 3.0 GHz Single Core, 1GB RAM, NVIDIA 6600 / ATI X1300. 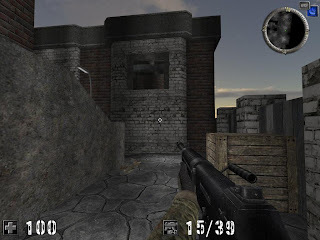 Urban Terror is a free fast-paced online FPS that can be played as stand-alone shooter or as a Quake III Arena mod. Urban Terror also has a unique damage registration system. System requirements: 1.2 GHz CPU, 256MB RAM, video card with 128MB RAM. BlackShot is a free-to-play militaristic MMOFPS with a unique partnering system with partner's view. BlackShot's story is set after a nuclear war in year 2033. System requirements: 2.0 GHz Pentium 4, 512MB RAM, GeForce FX 5700 / Radeon 9550. Digital Paint: Paintball 2 is a fast-paced, arcade style first-person shooter based on the Quake 2 engine. 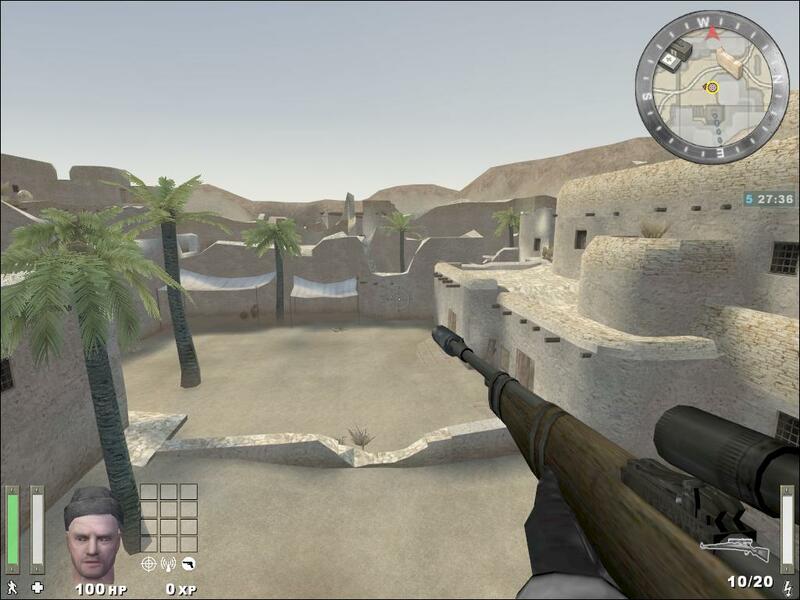 Digital Paint: Paintball 2 has many modes and large selection of maps. Red Crucible is a browser-based multiplayer online FPS with stunning 3D levels and real time lighting. Red Crucible offers worlds most deadliest modern weapons and vehicles. Mission Against Terror is a free-to-play MMOFPS set in the near future. 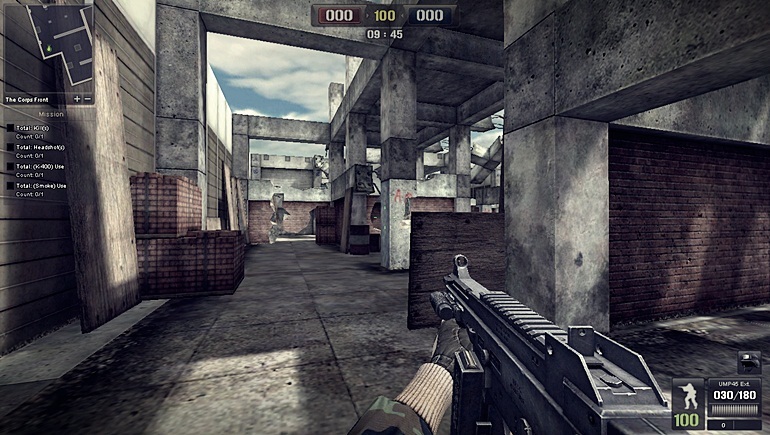 Mission Against Terror features real world weaponry, customizable characters and variety of game modes. System requirements: Pentium 4 2.0 GHz, 1GB RAM, GeForce MX440 or better. War Rock is a tactical multiplayer online first-person shooter. War Rock has 3 play modes that differ in size of the map, the number of respawns allowed and the availability of vehicles. System requirements: 800 MHz CPU, 1GB RAM, Radeon 8500LE / GeForce MX400. Smokin' Guns is a free to download, stand-alone Wild West themed total conversion of Quake III Arena. This semi-realistic multiplayer first-person shooter is inspired by Western movies. System requirements: 1 GHz CPU, 256MB RAM, 64MB OpenGL Video Card. BeGone is a tactical, browser based multiplayer first-person shooter that is free-to-play. 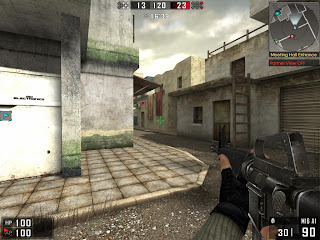 Crossfire is a free-to-play multiplayer military first-person shooter for Windows PC. This shooter has many maps, 30+ weapons and 5 gamemodes including stealth-action Ghost Mode. System requirements: 1.5 GHz Pentium 4, 512MB RAM, GeForce 5600. Soldier Front is an action-packed military FPS that focuses on combat strategy. Soldier Front offers realistic gameplay, character growth system and weapons with realistic feeling. System requirements: Pentium III 833 MHz, 256MB RAM, GeForce 3 64MB. 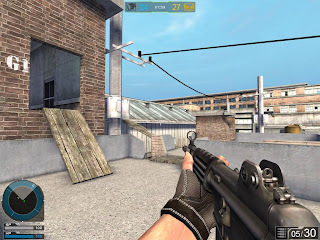 Sudden Attack is an online first-person shooter with a fast-paced and competitive environment. 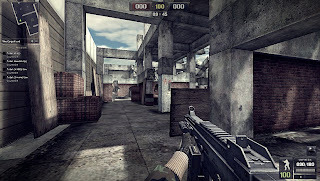 It is a free shooter set in urban warfare that currently has 7 exciting game modes. System requirements: 800 MHz processor, 256MB RAM, 32MB video card. Mercenary Wars is a free FPS that features a large number of customizable characters and a unique stat system. Mercenary Wars also has lots of maps and weapons. Currently dead. System requirements: Pentium 4 2.0 GHz, 512MB RAM, Geforce 2 or higher. 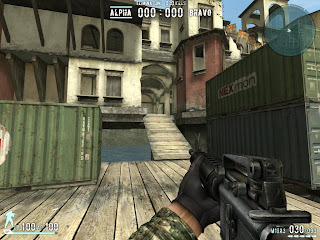 Brave Arms is a free-to-play browser based 3D FPS available on Facebook, which is currently in open beta. Brave Arms offers customizable characters and weapons. 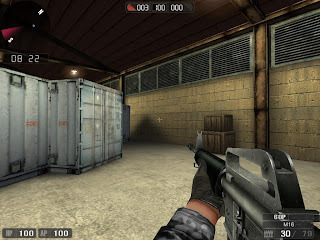 Crazy Shooter Online is the first 3D online shooter that is published by CiB Net Station. CSO features wide variety of powerful weapons and ever-changing avatar system. System requirements: Pentium 4 1.7 GHz, 256MB RAM, 64MB graphics card. 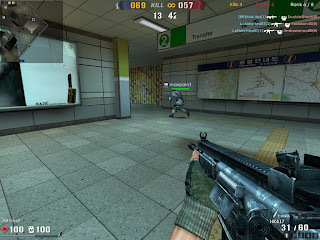 AssaultCube is a free and open source, fast-paced online FPS with over 12 multiplayer play modes. AssaultCube is very light-weight (around 50MB) and even runs on old hardware. System requirements: 500 MHz CPU, 192MB RAM, NVIDIA GeForce 256 / ATI Radeon 7000. America's Army is a free team-based tactical first-person shooter developed by the US Army. Only earlier versions of America's Army: Special Forces work on Linux and Mac. System requirements: 2.4 GHz CPU, 512MB RAM, video card with 128MB memory. Sanctioned Renegades is the next generation browser-based multiplayer first-person shooter that features realistic weapons, RPG unlocks and destructible environments. System requirements: 2 GHz processor, high-speed Internet. National Blood Sport is an online ad supported multiplayer first-person shooter where America's landscapes which are occupied by Nazi forces, become arenas for bloody battles. System requirements: 2.4 GHz CPU, 512MB RAM, 128MB DirectX 9 compatible video card. Dispatch of Army is a free MMOFPS set in the 1960s. Dispatch of Army offers 15+ maps, 10 different characters, fast-paced action with squad based tactics and 3 play modes. Minimum requirements: 800 MHz CPU, 128MB RAM, GeForce 2. Kuma\War 2 is a free multiplayer first-person shooter based on the Source engine. 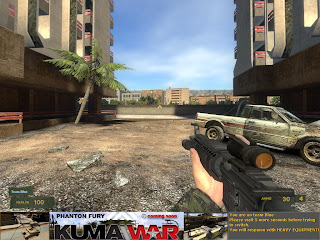 Kuma\War 2 can be also played as single-player episodic FPS that re-creates real-world conflicts. Postal 2: MP is the free multiplayer version of Postal 2: Share the Pain. Postal 2: MP is very violent, the original Postal 2 was banned in several countries due to graphic nature. System requirements: 733 MHz CPU, 128MB RAM, 32MB GeForce 2. 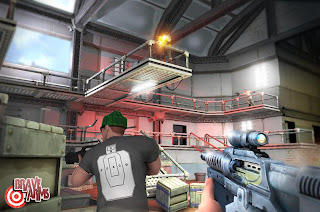 Mobsters is a free-to-play episodic, fast-paced first-person shooter developed by Kuma Reality Games. It also has multiplayer, Mobsters is replacement for "The Kill Point". 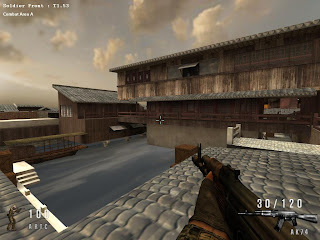 Kuma War WWII\Vietnam is a free to download multiplayer first-person shooter with weaponry like sniper rifles, Stinger missiles, Katanas and flamethrowers.